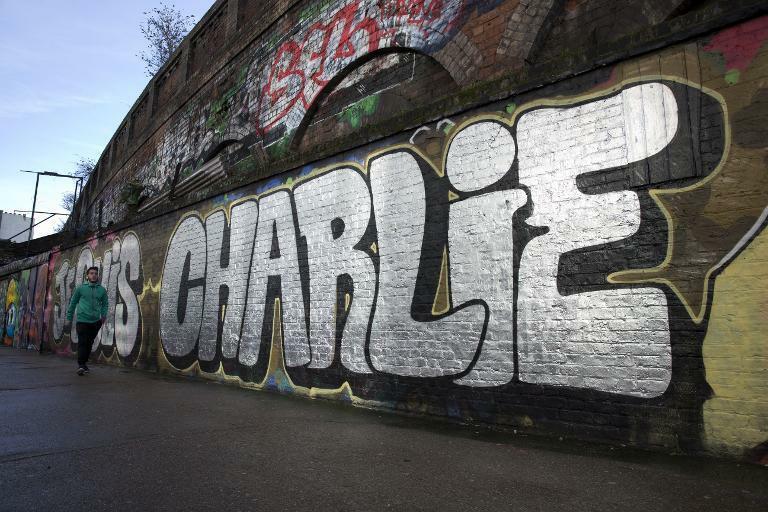 London (AFP) - Around 2,000 people gathered in London Sunday to honour the victims of Islamist attacks in Paris, many raising pencils to the sky in memory of those killed at satirical weekly Charlie Hebdo. 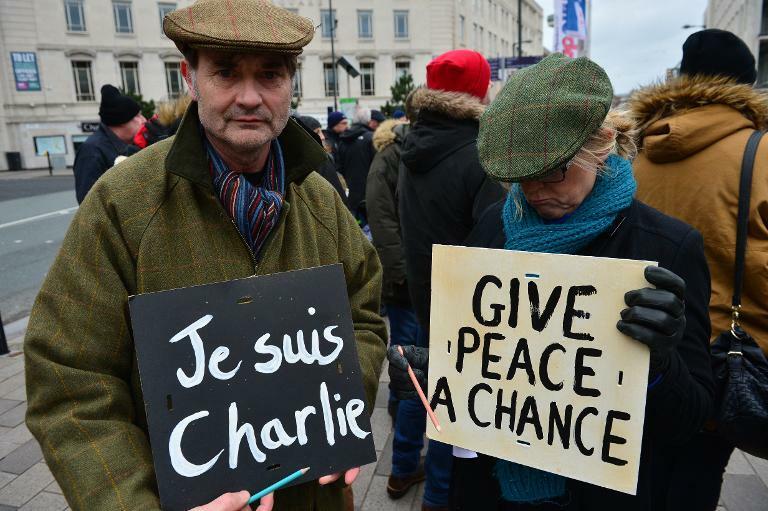 Some in the crowd at Trafalgar Square carried placards saying "Je suis Charlie" and waved French flags. Those attending the event created a giant circle made up of pencils and baguettes which also featured a giant paper heart carrying messages including "I Am A British Muslim" and "Vive La France" (Long Live France). The demonstration came as more than a million people including world leaders joined a solidarity march through Paris in the wake of the devastating attacks that left 17 dead. "It's the whole of France that they tried to shoot down and I wanted to say no, it will not be like that. I am here for freedom of the press and freedom of expression equally," Romain Abjean, a French teacher who has lived in Britain for ten years, told AFP. "I hope that now, in these terrible circumstances, everyone will learn to live together, as in societies like England." Christophe Fox, who has worked in the telecoms sector in London for 15 years, had wrapped himself in the French flag for the vigil. "I take part in this kind of demonstration only very rarely but I didn't see how I couldn't be here," he said. Also present at the demonstration were London Mayor Boris Johnson, Britain's deputy leader Nick Clegg and Sylvie Bermann, the French ambassador to London. Johnson said London and Paris were "united in grief and obviously in outrage but also in determination to fight for freedom" while Clegg, in French, voiced "solidarity with all those affected by this terrorist attack". A string of London landmarks including Tower Bridge were also having the French flag projected on to them in a show of solidarity. Trafalgar Square, Tower Bridge and the National Gallery were being lit up with the red, white and blue of the tricolour while the lights on the London Eye were being switched off and the flag projected behind it.